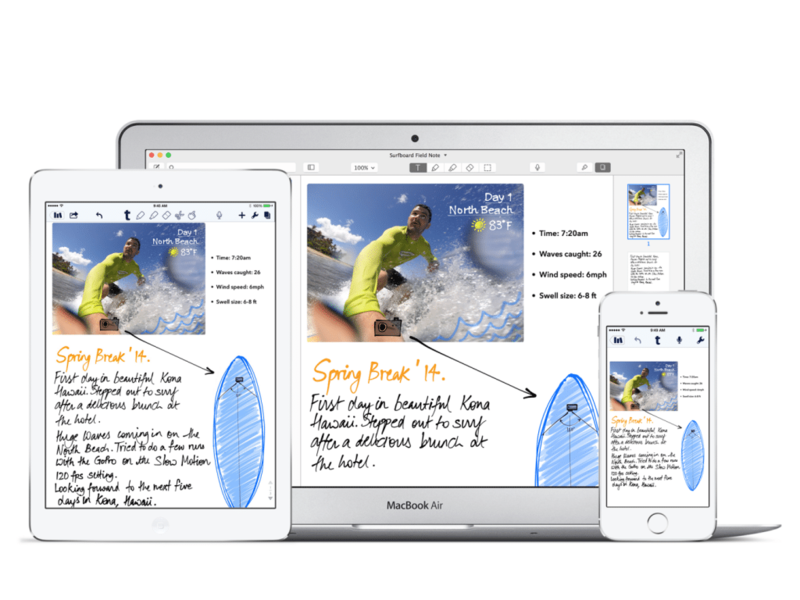 Are you familiar with Notability? If not, you need to check it out! 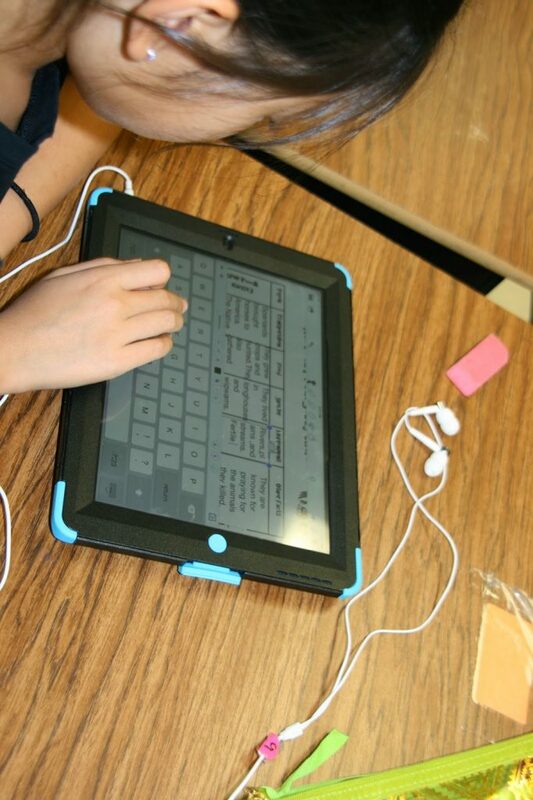 Notability is awesome to use in the classroom. I teach 4th grade and this is our first year with 1:1 technology. All my students have an iPad. Reluctant at first, I decided just to dive into it and try things out. We had a few bumps along the way but the app is amazing! 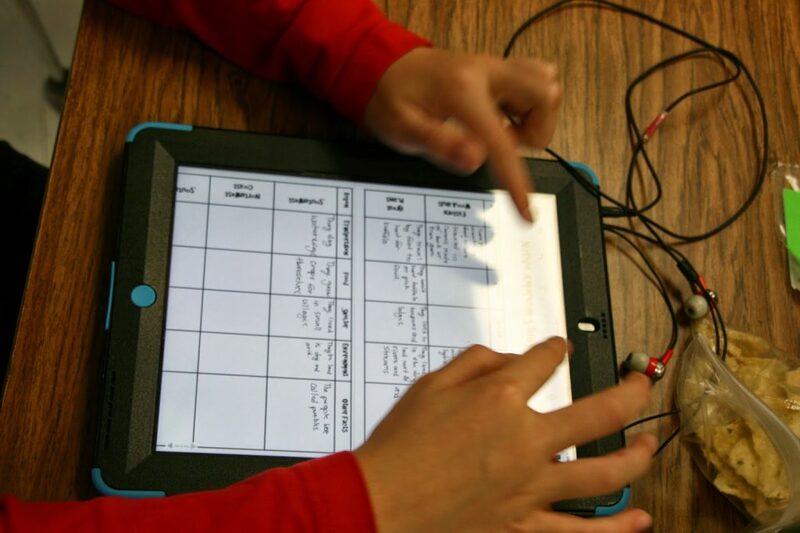 Students can take notes, record, upload pictures and documents, draw, write, make text boxes, highlight, etc etc. I either email or place a document in my dropbox. Student upload it into Notability. Once it is in there, they can manipulate it. I especially like that they can take notes and highlight text. Our latest upload was a Native American chart. 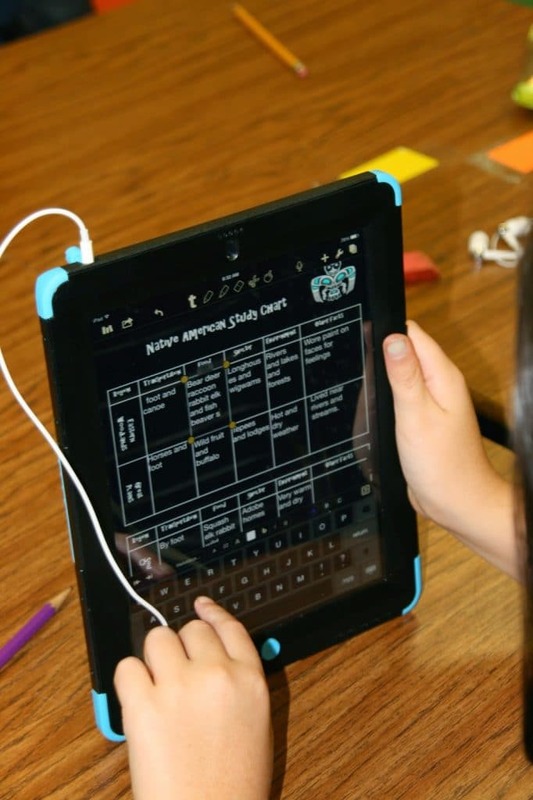 Students create a text box in each box of the chart and write their notes. Some liked writing instead. They would zoom in to write so they could fit it all in the box. Some change their screen to black and write with light color (I didn’t even show them that tool!) They are so excited about using the iPads that they explore on their own. How did we manage the notes? We created “DIVIDERS” for each subject. Then we created “SUBJECTS” for each divider. For example, under Social Studies, we have a subject for Native Americans. They can create as many notes as we need and label each one. It has been a fantastic tool for our first work. I send them the .pdf and they can write answers directly on it. Now I haven’t felt completely comfortable in grading so if I am grading something, I may have them read and manipulate text on Notability but provide an answer sheet for their answers. This chart you see above is going to be used for an open notes test on Native Americans. It is saving us paper and engaging the students!